Throughout the last years, we've gradually expanded the idea of event experience, making more and more space for the digital environment. 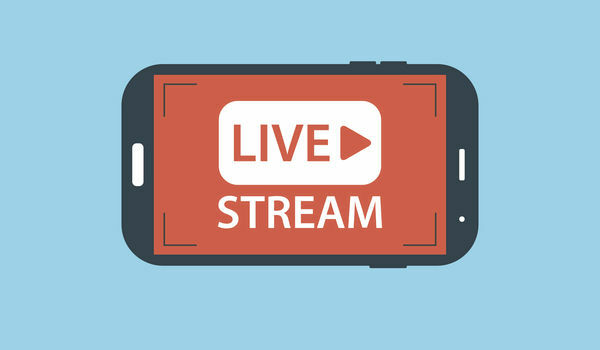 Streaming technologies allow us to reach an incredible number of potential attendees. Hybrid events are constantly gaining popularity, enabling us to extend the idea of human interaction beyond the physical space. According to the '2018 Global Meetings and Events Forecast' report published by American Express, "a little under a third of respondents in most regions and 35% of those in Asia Pacific, predict that virtual and hybrid meetings will be used in more than 10% of their meetings." However, since we're not entirely used to this new dynamic, we sometimes tend to focus more on our on-site attendees and forget about our other guests, who aren't in the room but are following the event in another part of the world. The bad thing that comes with this tendency is the risk of losing those attendees. As Jaimie Seaton writes for Skift, "When attendees can leave your meeting with a click of the mouse, you'd better keep them engaged." It's important to think not only about the engagement journey of our in-person attendees, but also about the engagement journey of our virtual guests. When it comes to hybrid or virtual events, as Kevin Van der Straeten notes, "There must also be interaction. The experience that you offer to the online participants must, of course, be based on the fundamentals of your event, but adjusted to reflect their specific expectations." He continues, highlighting "even with a live event it is not always easy to hold the attention of your participants, but with an on-line audience the challenge is greater still. In other words, when you are planning a hybrid event it is crucial, from the concept phase onwards, to take proper account of the content and the interactive experience you want to offer to your online participants. This is the only way to focus their attention and secure their commitment." The question is: How can we engage and maintain the attention of our virtual attendees throughout the entire event? These tips should help. Make your virtual attendees feel involved days (or even weeks) before the event. You can do that by asking their opinion (via social media) about potential meeting topics or if they have any questions for the event speakers. Make your virtual attendees feel emotionally invested in the event by engaging them though relevant social media posts, quizzes, interactive questions, etc. Don't just streamline the event and announce the live version via social media. An easily accessible link is great in cases such as the Falcon Heavy launch, but when it comes to your events, you must get people to take action and express their commitment to be virtually present. You can do that by asking your potential guests to confirm their assistance by completing a registration form. To convince the audience to take action right away by subscribing to gain access to your event, you could include a registration countdown for virtual attendees. The sense of urgency will motivate them to act. During the event, enable a chat option for your virtual assistants. Rather than let the chat function be idle, ask a team member or a volunteer to moderate the online conversation. You might be thinking to yourself, "Why do I need to have someone in charge of the chat? Can’t the virtual attendees just type in the chat box whenever they have something to say?" For starters, it’s important for someone to ban any potentially offensive comments so those comments don’t linger in the chat box. Also, if any virtual attendees have relevant questions about the event, there should be someone to answer their questions right away, so they don’t feel ignored. Finally, a moderator can create a series of quizzes or polls only for the virtual audience and present the meaningful data to the on-site audience. Ask the event moderator not to forget about your virtual attendees. Whenever the moderator addresses the on-site audience, he or she should also acknowledge the virtual presence. This is important, especially when it comes to live Q&A sessions. The moderator must announce the ways in which the virtual guests can ask questions. The moderator must also ensure that the speakers will see those questions and answer some of them. This keeps your virtual audience engaged and makes them feel like they’re just as important as the in-person guests. Empower your virtual assistants to participate directly at the event by telling their stories. For example, the event moderator can put aside a few minutes to get to know the virtual attendees better and ask them post in the online chat a personal story related to the topic at hand. Subsequently, the person who moderates the online conversation can choose two or three stories and read them out loud to the speakers and general audience. If you don’t actively engage your virtual attendees, they won’t stick around for the whole event. After all, compared to the on-site guests, the virtual ones just have to click a mouse and they’re gone. That’s why, when designing the attendee engagement dynamics, include as much assistance and as many accommodations for your virtual attendees as possible.